Margaret A. Rugadya holds a PhD (Economics and Governance) specialising in Public Policy Analysis from Maastricht University and a Master of Arts (Sociology) from Makerere University and three Post Graduate Diplomas in Management, Legislative Drafting and Urban Land Management and Settlement Regularization. As a socio-economist, researcher and policy analyst, she is a strong advocate for rights of marginalized and excluded groups in natural resources governance; building their voices, transforming power relations and advancing equality for women and excluded communities such as pastoralists, forest dwellers, indigenous persons and the urbanized poor in East Africa. Currently, Margaret serves as the Program Officer – Equitable Development with a global social justice philanthropy, the Ford Foundation, working in its Nairobi office, where she manages national, regional, continental and global grant-making programs in the fields of natural resources governance, land tenure and equal opportunity, public participation and resource distribution to shift the drivers of inequality and drive equitable development. 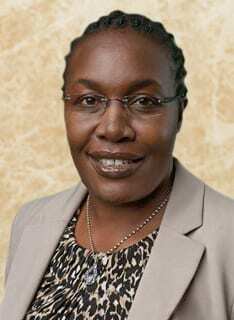 She has also served as the key convener of development partners and funders on natural resource governance and land rights in East Africa. She works with organizations in understanding their capacities while at the same time identifying the key aspects of products and outcomes that can lead to greater change. Before joining the Ford Foundation, she served as an Advisor to the Government of Uganda in the Ministry of Lands, Housing and Urban Development, and the Ministry of Gender, Labour and Social Development. Margaret was the lead drafts person for Uganda’s National Land Policy 2013. 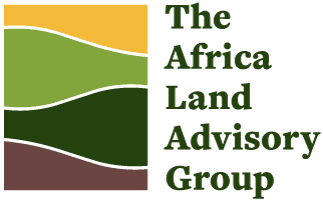 She is also served in civil society as a founding member and staff of the Uganda Land Alliance and Associates Research Uganda. She also served as a consultant and researcher on land policy and natural governance for various national and international development agencies, including but not limited to, the Norwegian Embassy, USAID, UNDP/UN-Habitat, the World Bank Uganda Country Office, Alert International, World Conservation Society and Rural Development Institute. Margaret has over 20 publications on land and natural resources governance in Uganda and Africa. As a trainer, Margaret designed training courses on natural resource management, rangelands, gender etc. including modules materials and course handbooks.